liquid laundry detergent for fresh-smelling and cleaner clothes. Bath: Add 1/2 cup to a warm bath to soothe and condition skin. Facial: Add 3 parts baking soda to 1 part olive oil, then apply in a circular motion after washing face with regular soap. It works on dry skin on the body as well. Teeth: Brush your teeth with it – and it’s also used to clean dentures, retainers and mouth guards. Add 2 teaspoons to a bowl of water. Foot soak: Soak feet in 3 tablespoons to a basin of warm water. Bee stings: Make a paste of water and baking soda to soothe irritation and remove stinger. 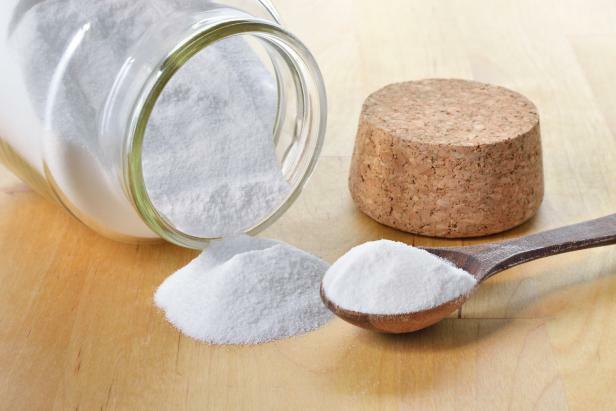 Since it has so many uses, separate boxes of baking soda may be bought for cooking, cleaning and bathing.